"THE TRUTH IN our words, evident to us, takes,time to penetrate to others." My quotation from Proust encapsulates, I think, the standpoint of Pierre Boulez over the last 15 years or so. The intellectually tough, uncompromising avant-garde composer celebrating the death of Schoenberg and the possible future burning-down of all opera houses, has in fact occupied much of his time submitting a kind of apologia. Conducting 'live' concerts, expounding and demonstrating aspects of new music, recording extensively - these are all part of an attempt to justify the ways of Boulez the composer to the common man (including the common musician). Logically, he must now return to direct an insititute in Paris which is almost an exploded version of his own compositional teritory. For the exploration of sounds, their acoustic properties, relationships, etc, is now a public rather than a domestic activity. Cynical opinion has often suggested that Boulez the composer got himself into a cul-de-sac and took refuge in conduating. But Boulez is no escapist: he has demonstrably tried 'to bring into the musical world at large some of the creative attitudes and responses which were previously the intellectual provinee of an elite, a closed circle. He has 'tried to show that composition is not merely 'the pro- duction of one piece after anolther, but one aspect of an intellectual investiga'tion in which philosophers, 'technologists, linguists and so on are as profoundly engaged. More sympathetic observers have considered thalt in directing performances of so much past music - especially 'the Second Viennese School, Wagner, Debussy, Messiaen - Boulez was eaught up in the rediscovery of his own antecedents. But he will tell you that he knew all these works perfectly well before. His opinions of ithem, moreover, have not changed. He has learnt substantially nothing about them ithat he didn't know earlier. He has experienced no conversions, nat even on the road to Bayreuth; or so he main'tains. For Boulez, the task of perform'ing and recording such music provides, on the one hand, essential documentation, on the other, opportunities for 'the general public Ito become properly acquainted with the past irepertoire, and consequently deduce an accurate knowledge and true con- ception of today's musical situaition. It is for us, not for him, to do the rediscovering. He provides the tools. To do justice to Boulez's recorded output and the intentions underlying it, one needs to obitain a large number of his recordings rather than a random selection. I could, I suppose, recommend a number of five- or six-record sequences (eg Debussy's Images; Messiaen's Poemes pour Mi; Stravinsky's Le Sacre du Printemps; Berg's Chamber Concerto; Boulez's Le marteau sans maitre and Pli selon Plt), an acquaintance wiith which would fit in with his exolicitly educational intentions. Boulez anticipates an alert, active listener, not someone who puts on a record while doing the ironing. While a number of his discs could be considered individually valuable, they are best thought of as comprising a series of historical documents, expounding, analysing both earlier music and that of the presen't. The pleasure- principle is subordinated completely. Boulez has not been entirely free from the kind of pressures that result in a mere potboiler. His recording of a number of Berlioz overtures is a typical case. He takes the New York Philharmonic Orchestra,through a succession of overtures, here, along,with the Royal Hunt and Storm (which lacks a chorus at its climactic poinlt; and I submit the chorus is utterly indispensable to its dramaitic effect) in a manner that suggests his main concern is to be catching the next plane back to London. His tempi (cf Carnaval Romain) are itoo fast for proper articulation, and he disregards a legion of dy- namics and other details. The outcome is insensitive, indifferent, robbing Berlioz of the faithful representation he deserves. We sometimes meet Boulez in this frame of mind in the concert hall, too, but there the best of his music-making obliterates memories of the worst. I see no reason why the recording industry should perpetuate them. Where he understands and sympathises 100 per cent with the composer's aims, Boulez is difficult to surpass as an interpreter. In Debussy, for instance, his recordings of the complete orchestral works bring to the final stage of fruition a new appreciation of the composer which Boulez stimulated in the middle sixties. 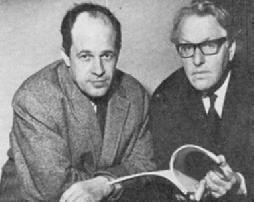 The first record of the set of three, here, took the Prelude a I'apres-midi d'un faune out of the self-indulgent 'lollipop' category and reinstated it, in all its shimmering detail, at the centre of the Symbolist movement (from which Boulez himself derives as a composer). La Mer again cast oK all fonner associations with bad film music and was itransfarmed into an imaginative masterpiece of pointillisme. 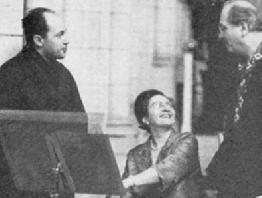 But above all Boulez has initiated a new comprehension of Debussy's late works. Jeux, on this first Debussy disc, is a notable instance, again a work influential upon Boulez himself, as well as other avant-garde figures. Wiith Images, Boulez enables us to bid goodbye for ever to any descriptive or 'impressionistic' interpretations, emphasising the nationalistic references by exaggeration of ithe nuances and rhythmic charaoteristics. 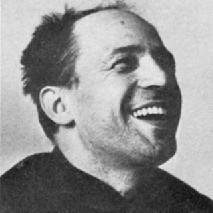 Boulez highlights the "freedom of symphonic invention" in his triptych. He 'takes a very modern view of Les parfums de la nuit (the middle section of Iberia), seeing it as "one of the most invenitive [movements] Debussy ever wrote - not so much because of 'the themes encountered, but for the new manner of 'creating' a development, of making orchestral sound evolve, and for the refinement of the 'transitions. In this music, even if the themes reappear, one never goes back: everything seems in a superior, accomplished state of improvisation, so surely is the invention under complete control; to that extent it can dispense with formal frames that are too easily recognisable." In Debussy's subtly concealed logic Boulez recognises a musical impulse similar to his own. In most of Boulez's recording projects outside the contemporary repertoire, he tends to be making a special case for something and on the whole avoids adding to the catalogue more discs of wellknown masterworks just for the sake of doing so. His recording of Beethoven's Fifth Symphony, thus, finds pedantic justification in the inclusion of a repeat of the whole opening part of the Scherzo that is probably unique: the composer (according to a thesis by a Boulez pupil on this subject) lef4, out the repeat-marks through sheer carelessness. The disc thus has documentary value: bult it is unforlunate that the execution of the music is so ponderous, uncommitted and lacking in drama. There is a further point of interest in that it eon'tains as a fill-up the rarely heard, and beautiful, cantata, Meeresstille und gliickliche Fahrt, Opus 112. This is the only modern recorded version, and it was a pity that Boulez did not insist on ithe exactness of delivery and coordination which he applies elsewhere. Again, with Berliz's Symphonie Fantastique, his objectives are laudable: he sets out to re-establish the work in its theatrical context, by recording in addition the companion-piece, Lelio, again a rarely-heard work with no acceptable version available in the record catalogues. Originally, the two pieces were available only as a set, but I am glad that they can now be obtained separately, for whereas the performance of Lelio (with Jean-Louis Barrault as the brooding, composer-narrator) is an inspired effort, the Symphonie Fantastique has few Berliozian characteristics at all; the tempi are generally inappropriate and the performance as a whole is very wooden. Boulez's fear of any musical situaltion that requires some dependence upon instinct is here manifest. With what desperation does he try,and show that the theatrical (ie autobiographical) aspects of 'the Fantastique are of little or no importance in any understanding of i.t! How peculiar that Boulez of all conduators should interpret the concluding three movements of the work in the manner of a solemn kapellmeister! In his exposition of how past musical situations have evolved itowards the present, Berlioz must occupy an uneasy place in Boulez's thinking. The 'special case' that needed the greatest amount of self-justification is, of course, Boulez's performance of Wagner's Parsifal. To many it was an irony of the first order thait it'he man who advocated the destruction of the opera houses should be found conducting Parsifal at Bayreuth. Yet, first, Bayreuth is no ordinary opera house, but one of the few places where a fully-fledged eoncept of integrated music-theatre has been allowed to function and develop. Boulez finds this acceptable, whereas he would not be associated with revivals of La Boheme utilising 50- year-old productions. 'Second, he was enabled at Bayreuth to collaborate with a producer eaually revolutionary in his thinking - Wieland Wagner: and though the latter's stage realisation of Parsifal originated long before Boulez's first appearance at Bayreuth, and achieved musical stature under the conductorship of Knappertsbusch, there was a heightening of tension and integrated music-drama which only Boulez could contribute. This is what happened, and the recording of the work made from live performances at Bayreuth provides ample testimony. Even so, Boulez - in an essay in the Bayreuth programme that is reprinited in ithe notes accompanying the Parsifal set - goes to great lengths to enunciate his view of ithe work and of Wagner in general. He latches on to Debussy's view that Parsifal was' the exception that justifies Wagner... "a work 'liberated' from the excesses due to an over-ponderous theoretical conception, a piece of architecture whose framework has entirely disappeared". He sees it as a 19th-century counterpart to the Bach Passions or the Beethoven Mass 'in D, something quite outside religion, let alone religiosity. He sees in Wagner's deployment of a Leitmotiv system, moreover, a concept of musical structure based on the possibiliities of 'transformation'. In short, Boulez has exhibited another masterpiece which he wants us to regard as one link in,the chain that leads inevitably to Le marteau sans maitre, Pli selon Pli, Domaines etc. Wagner's Parsifal, Debussy's Pelleas et Melisande, Berg's Wozzeck, Schoenberg's Moses und Aron (which he records in the autumn), Stravinsky's Le Sacre du Printemps these are all early examples of a musical idiom and structure in,which, 'as in the Mallarme poem that gives the title (but not Ithe text) of Pli selon Pli, "the dissolving mist gradually reveals the stones of the city of Bruges". Fold by fold, they unveil a portrait of Pierre Boulez. We can see in retrospect, and might possibly bear in mind for the future, that Boulez brings the greatest commitment and insight to works that fit precisely into this great historical chain. Those that are entirely or even slightly outside this frame of reference he interprets with less skill. Ravel, for instance, is not his strong point. The orchestral sonorities of the Daphnis et Chloe Suite No 2 are resplendent in Boulez's recording of it, but,the overall shape is peculiarly distorted. The day-break sequence is taken at such a lazy tempo that day very nearly doesn'it break. Where the structure is almost classically overt, rather than allusive, he fails to create any sense of tension or forward movement (cf Be0thoven's Fifth Symphony or Wagner's Die Meistersinger Overture). Even the Prelude to Tristan has too direct a lyrical momentum for Boulez to seem at ease conducting it: and in 'the Liebestod he is like a nervous bridegroom on his honeymoon night, falling asleep during the initial love-play, then rushing the climax. The one redeeming feature of this particular Wagner interpretation is the way Boulez - unlike most conductors - keeps the music at pianissimo level most of the way, as marked in the score. The curious logic that underlies a piece like the Symphonie Fantastique complete eludes him. The performance is edgy, defensive, literal. You can observe Boulez at his most uncertain in almost any music with a simple tuneful ingredient. There is one movement in the Debussy set in which he is manifestly insecure, viz Fetes, in the Nocturnes, where the march music coming out of the distance, into the foreground and away again, is very stodgily realised. Boulez resorts to extremes of tempo on such occasions when he loses his steely nerve. The sections of Bartok's Concerto for Orchestra where 'the composer makes obvious use of folk-tunes and textures are 'those which Boulez rushes through. He relaxes where the musical structure is more complex in its unfolding. In Boulez's finest recordings, such as Pelleas or Wozzeck, he exerts the greatest efforts 'to obtain maximum lucidity. Compare him with Ansermet and Bohm, respectively, in his interpretations of these ,two operas, and you find him pointing the structure more assertively at all stages, where the athers will linger and stress the lyrical or colouristic facets of the works. 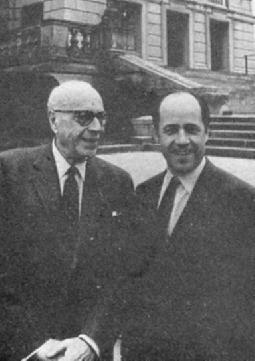 In each case Boulez was doing his utmost to obtain matured performances, for the recordings took place after he had conducted the same casts in stage productions of the works. His search for extreme clarity, so ithat one hears every note the composer wrote with the right balance within the texture, underlies his acceptance of all the most advanced recording techniques. He welcomes quadraphony: "for me it is quite simple - you have four speakers instead of two; therefore the sounds are spread out more and consequently you hear more, and hear everything much better." His recent quadraphonic version of Bartok's Concerto for Orchestra is brillianitly detailed. He has a high opinion of the studio engineers he has worked with, generally, and recalls no instance of disagreement with any of them on particular points of recording procedure. 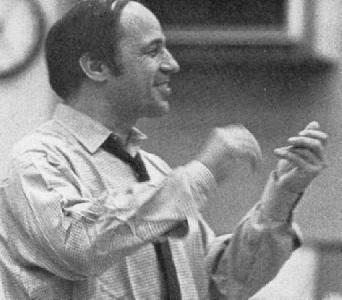 In any case, with his background (he studied engineering) you would expect Boulez to be able to communicate with 'the studio technicians on their own terms. What he can't control to the ultimate degree Boulez itends to ignore. Voices, for instance. The off-pitch singing in a number of his operatic recordings, even the best of them, and even in his own pieces (eg the two versions of Le Marteau), is remarkable. Other conductors would have forbidden such liberties. On the other hand, where he sees an opportunity to in Auence his singers in matters crucial to the musical effect, Boulez will sometimes do so with superb imagination. The word-less female singers in Debussy's Sirenes (from the Nocturnes), for example, do not sing just the vowel a, as in the score, but vary it - ou, o, a - are all used on Boulez's initiaitive, to match up with 'the orchestral sonorities at different stages. His tempi are too ruthless, often, for solo singers (cf Parsifal, Act 2, where the cast is strained to the limits by his scherzo speeds). 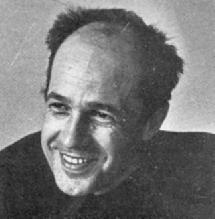 Were Pierre Boulez God, he would accept the doctrine of Predestination. He admits of no influence, from other conductors, from other recordings, from criticisms made of his records or 'live' performances. He betrays rare sensitivity on such a matter when in the Parsifal essay mentioned above, he brings up the matter of tempo, comparing his own fast performances with those directed originally in 1882 by Hermann Levi. In this work the slowest tempi (to which Bayreuth visitors had become addicted) were those of Knappertsbusch and much earlier, Toscanini, who produced,the most drawn-out of all the Bayreuth Parsifals. (Interestingly, Boulez and Toscanini, in Debussys La Mer, have almost identical overall timings, both taking much longer than the conductors on any other recordings.) Boulez does, however, believe his conducting has improved as he has had more exprience with different orchestras over the years: he is less tense, more able than previously to spin out the line of the music; he cites as an example his more relaxed, thus much clearer and detailed interpretation of Le Sacre, with the Cleveland Orchestra, as compared with the much earlier recording, which screws the tempi up in an unnatural way. Although he is gradually cutting down now on his concert commitments, Boulez will continue recording and presumably he will concentrate almost exclusively on the documentary side of his projects. Certainly, he will record more Schoenberg (Gurrelieder, this summer, before Moses). We have already experienced a new outlook on the music of Webern as a result of Boulezs work with the BBC Symphony Orchestra and his previous, epoch-making series with the London Symphony Orchestra, and it is high time that he produced the records that would set the seal on this appreciation. Webern interpretations are naw generally more alive, more rhythmic, more comprehending as a result of his influence. He will record much earlier music e.g. Purcell and Rameau; though he dislikes the notion of using early instruments: for him, it is just dabbling and could not be pushed to its farthest limits of authenticity. (He has already recorded Handels Water Music, some years back.) But what he is intent on providing is the foundation for a revolution in listening as well as composition and performance that should be considered significant and relevant by the general public. Amongst recording artists, his musical ethics must stand high.